Anyone familiar with London’s West End theatre district will know the Garrick Theatre in Charing Cross Road. Yet who would know there’s a connection between David Garrick, the famous eighteenth century actor whom the theatre’s named after, and the blues? I’d venture that only rabid blues scholars or those who have read my book “America’s Gift” (or eBook “How Blues Evolved: Volume One”) would be aware of such an obscure blues titbit. For those who haven’t invested in my books (available through Amazon) here are the facts. The word blues almost certainly derives from what communities many centuries ago called ‘the blue devils’: those imaginary evil spirits people genuinely thought caused depression. We know better today of course. Depression is all a matter of serotonin and noradrenaline/norepinephrine in the brain. But the superstition of believing humans can be possessed by malevolent spirits, as we know, stretches back to pre-biblical times and is still believed in some of our more unsophisticated societies. One of the earliest printed mentions of the blue devils is found in this rare volume of English satirical poetry, dated from around 1599. 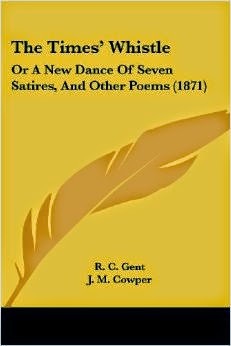 A rare 1871 facsimile edition of Corbet’s original volume of poems first published around 1599 or 1600. This is the earliest example of the word blues appearing in written form that we know of, even if the old luvvie couldn’t spell it correctly. 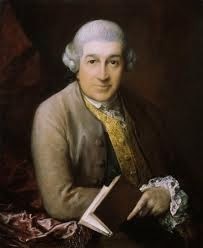 A playwright, producer and theatre manager, David Garrick is the thespian said to have introduced realism to acting. 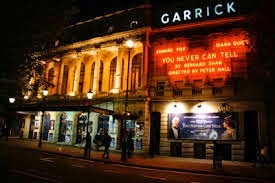 As mentioned, London’s Garrick Theatre, opened in 1889, is named after him. Also during the eighteenth century, the expressions ‘funk’ and ‘blue funk’, meaning a state of fear or panic, were being used in England for the first time. The first place such descriptions were noted was Oxford University, where the expression probably came from the students’ slang for the blue fug of clay-pipe tobacco smoke that would fill their rooms. 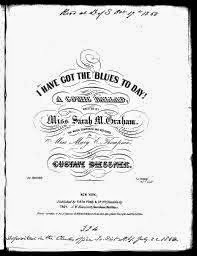 The first song with blues in the title, from 1850. By now, the old English term ‘the blue devils’ had also crossed the Atlantic, where they became associated in America with the DTs, the delirium and tremors caused by alcohol withdrawal. Are having the DTs what Ms. Graham meant when she wrote about getting the blues today or just a feeling of sadness? Since she wrote her words some 166 years ago, how can we ever know?